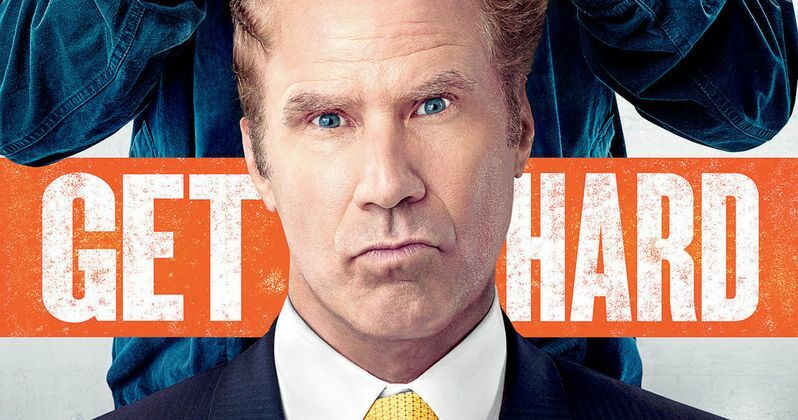 Warner Bros. has released the first trailer for the new R rated comedy Get Hard. When millionaire hedge fund manager James (Will Ferrell) is nailed for fraud and bound for a stretch in San Quentin, the judge gives him 30 days to get his affairs in order. Desperate, he turns to Darnell (Kevin Hart) to prep him for a life behind bars. But despite James' one-percenter assumptions, Darnell is a hard-working small business owner who has never received a parking ticket, let alone been to prison. Together, the two men do whatever it takes for James to "get hard". And, in the process, discover how wrong they were about a lot of things...Including each other.